It goes without saying that Malaysians love to travel. Flight tickets, accommodation bookings and meals aside, transportation costs weigh heavily on the traveller too. Many would know that travelling to our airport from our home tends to cost a lot. Generally, the fees could hike up to almost RM100, if not more, depending on the starting point. Airport2u.com is a new Malaysian-made app made to tackle this issue of high transportation costs to the airport. It is the brainchild of co-creator and CEO, Apriman Darlis, and technical support manager and co-creator Lee Kong Yew. Recently making its debut, the app has already claimed to be much lower than other apps which serve as competitors. 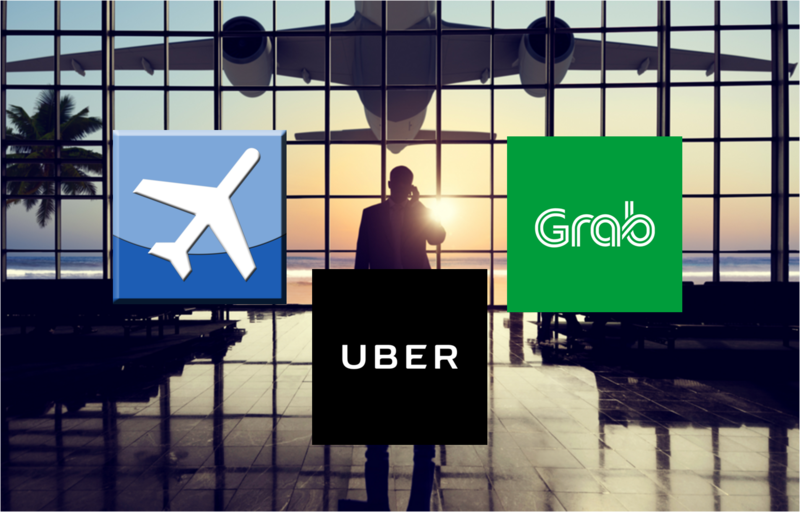 Uber and Grab, on the other hand, are two ride-sharing apps that offers transportation to the airport, and they provide competitive prices as well. However, we decided to pit all 3 portals together to see which is the cheapest of them all, and can Airport2u.com really live up to their promise of being the “lowest price taxi-share-riding apps to Kuala Lumpur International Airport”. Since Grab’s GrabCar (Economy) offers the same rate from various locations in Klang Valley to KLIA, which is RM90, we choose the Budget Taxi option instead to compare with Uber and Airport2u.com. Airport2u.com currently provides pickup times at 4am, 6am, 8am, 11am, 2pm and 5pm, and as prices differ between time slots, we chose the most expensive time slot at 4am, as a means of comparison. Airport2u.com provides a price reduction of at least RM33 as compared to Uber and Grab, for passengers from Paradigm Mall. 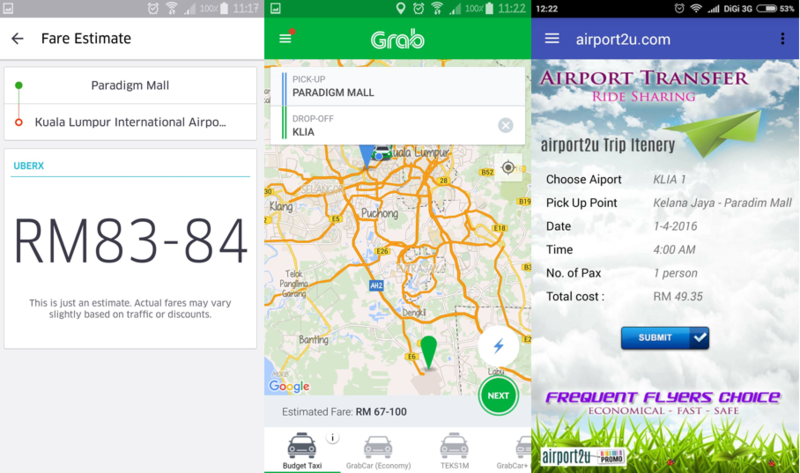 Whilst Uber’s lowest price possible is RM83, and Grab’s at RM67, Airport2u.com offers a deal at RM49.35 for the commute. Airport2u.com competes against Uber’s pricing for the commute from DPULZE Shopping Centre in Cyberjaya and the plus point is that whilst the price may vary slightly with Uber, Airport2u.com’s price is at a fixed RM27. Meanwhile, competitor, Grab’s price may even go up to RM55. 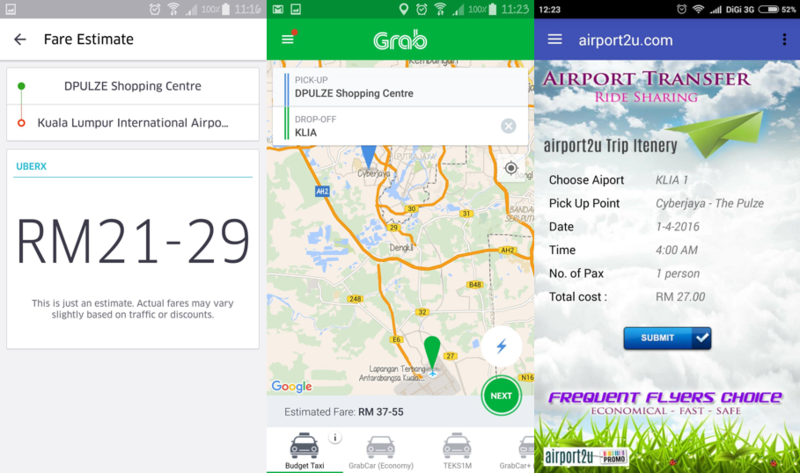 Airport2u.com provides a price reduction of at least RM25 as compared to Uber and Grab, for passengers from Berjaya Times Square. 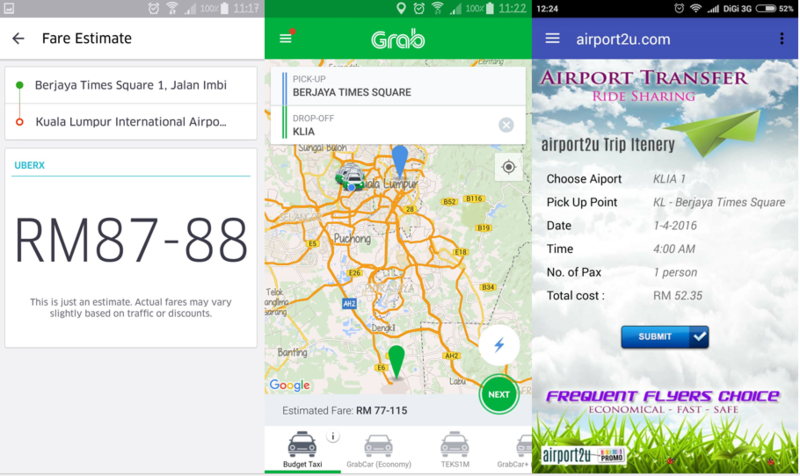 Whilst Uber’s lowest price possible is RM87, and Grab’s at RM77, Airport2u.com offers a deal at RM52.35 for the commute. Airport2u.com provides a price reduction of at least RM30 as compared to Uber and Grab, for passengers from The Curve. Whilst Uber’s lowest price possible is RM82, and Grab’s at RM83, Airport2u.com offers a deal at RM52.35 for the commute. The conventional way to travel from home or a destination, to the airport has been ride-sharing apps, a cab, or hitching a ride from a friend. With Airport2u.com, passengers will be able to ride any one of the 35 MPVs currently attached to the service. Whilst the app is only available on Android for the moment, they also have a website in which users can make their bookings from, so as to have a hassle-free experience. Personally I’m surprised about the rates offered by this new service. I messaged Airport2u.com on their Facebook page and they’ve confirmed that the rates mentioned on their page are nett and is inclusive of any toll charges. “No extra hidden charges. Passenger pay only fares as displayed. Not a single cent more,” they replied quite promptly. So what’s the catch—do we have to tip the drivers? Airport2u.com told Vulcan Post that that is a personal choice that’s up to the rider, it’s not compulsory as it differs based on the culture of the rider. In some cultures, they explained, tipping is part of their etiquette, whereas to others, it isn’t a practice that is necessary. Thus they leave that choice up to the riders themselves.